RallyBridge Sport Linking UoN and China University of Political Science and Politics! 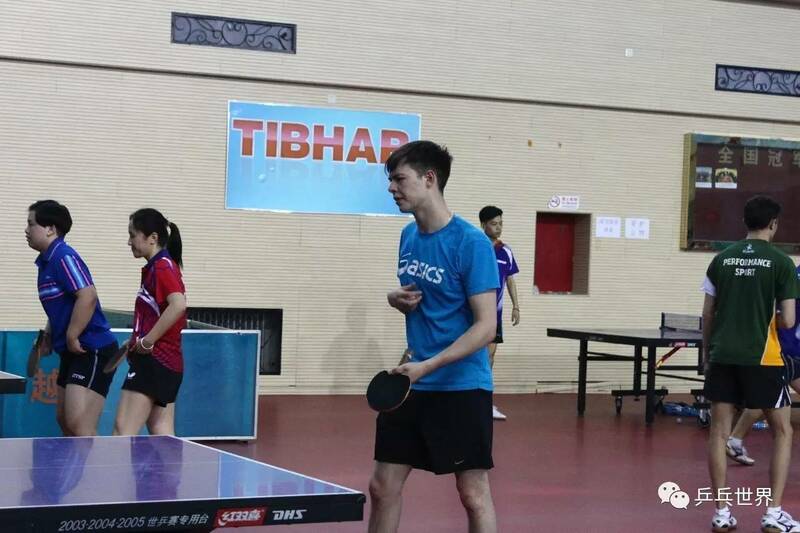 RallyBridge Sports enhanced the intercultural communication between University of Nottingham and China University of Political Science and Politics through the media of table tennis! Britain is the birthplace of table tennis. As a veteran world elite, Nottingham University attaches great importance to the development of this traditional project. 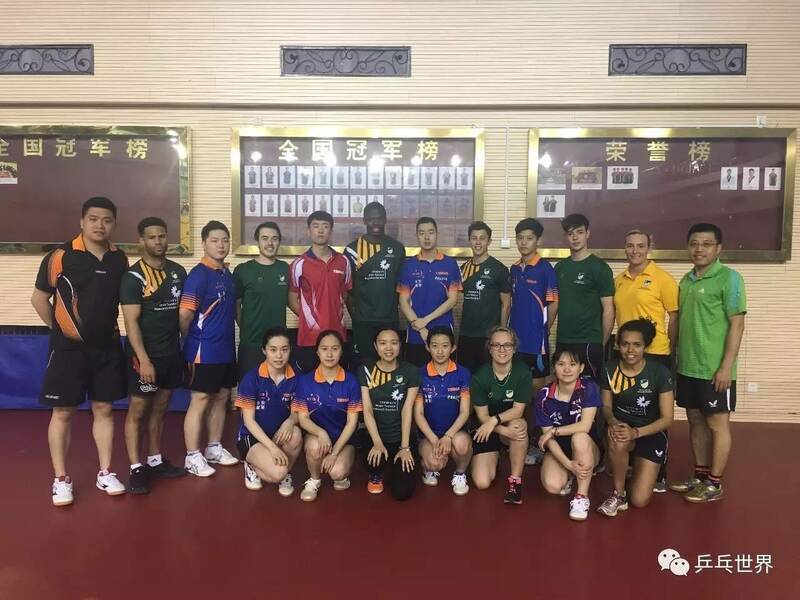 In order to improve the level of the school team, April 21, University of Nottingham 9 people to China University of Political Science and Law, carried out a nine-day international table tennis exchange activities. In February this year, the first to get Deng Yaping sports scholarship student Liu Haoyu, linked to the China University of Political Science and Law Table Tennis team coach Bloomberg, expressed the idea of ​​Nottingham students want to exchange ideas with domestic golfers The “Liu Haoyu is my teacher in the North when the body, Nottingham University table tennis team head of the team is my team in the British national team teammates, the team is the current coach, is currently the British national team is the number I have taught the players “Bloomberg said that in addition to this affectionate relationship, he contributed to the original intention of this exchange, but also” Ping Pong people to promote the sense of table tennis mission. 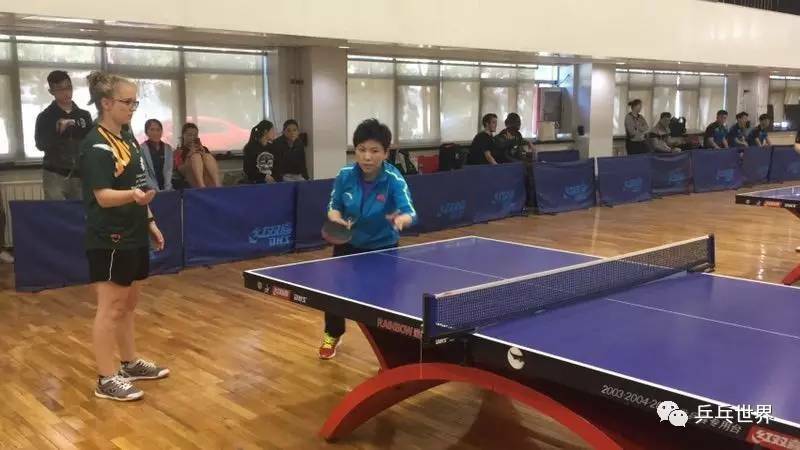 ” In the State Sports General Administration Cai Zhenhua, deputy director of the table tennis proposed the third venture, referred to the campus, the development of ping pong. Bloomberg responded positively to the call, hoping to promote the table tennis from the campus to the international. 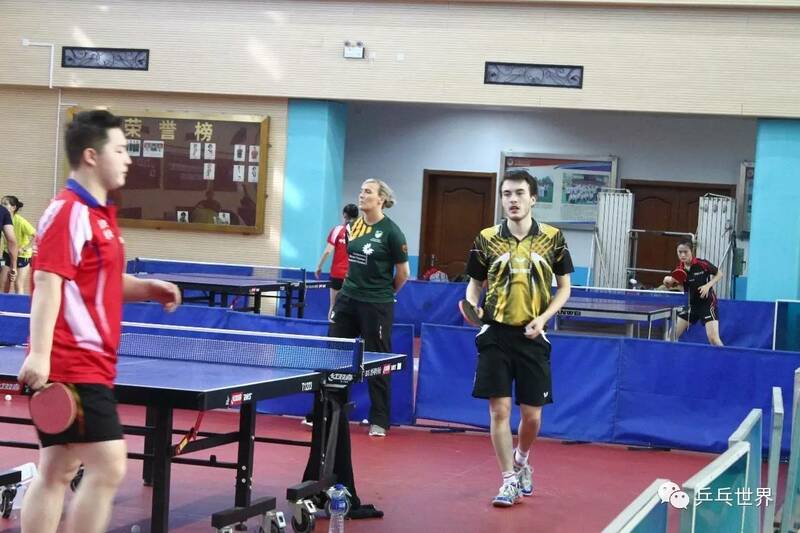 The reason why the choice of China University of Political Science and Law as a training ground, Nottingham University table tennis team coach Kelly Sibley said that the political and legal university students a good game, the achievements of the past few years we all see. 2013 to 2015 national college students competition, political and legal university ho to women’s three consecutive years, in the four years, they won a total of 11 national championships. Kelly said it was their valuable experience. “The Chinese team ‘s training time is long, the ball is fast, the ball is very rotating, the friction is more, these are worthy of our learning place. 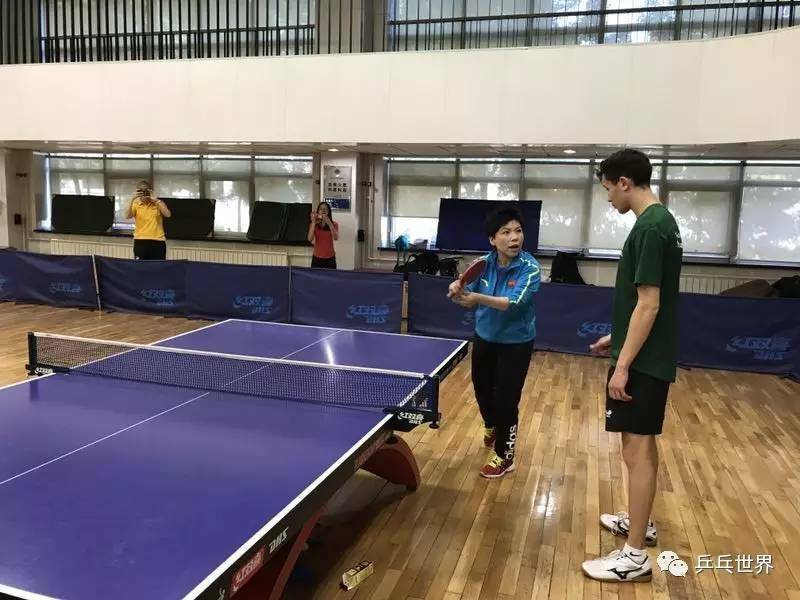 In addition to the exchange of political and legal universities, the University of Nottingham table tennis team also visited the Beijing Sports University and Tsinghua University table tennis team. In Beijing Sports University, they also had the honor to accept the Grand Slam Deng Yaping technical guidance. Although the training time in China is shorter, but Nottingham table tennis team members have said that the income is quite good, progress is obvious. Kelly also invited students of the University of Political Science and Law to welcome them to the UK to strengthen the interaction between the two schools. And Deng Yaping sports scholarship as an opportunity to establish an exchange mechanism as soon as possible, so that more high-level students to enter the University of Nottingham exchange study. Liu Haoyu with London, Rio two Paralympic champion Zhao Shuai, while the first batch of Deng Yaping sports scholarship. “I will practice at Tsinghua University in 2015. When I know this scholarship, I try to send an English resume. For students enrolled, the University of Nottingham has a clear standard, in addition to the ball is better, IELTS and undergraduate or graduate students have to meet the entry requirements. Three standards after the audit, Liu Hao Yu in 2016 officially entered the University of Nottingham. At the beginning of school, compared with ordinary students, let her proud of the game, but became the biggest burden, “I started playing 6 years old, 11 years old into Hebei Province team, after retirement, I also received on behalf of the school Many of the national competition awards may be due to too long do not play, hand a little strange, the first day of training, my physical and technical obviously can not keep up. “For Europeans good back to Taiwan, put the ball to play Law, Liu Hao Yu is not used to. “Deng Ya-ping teacher is also studying in Nottingham, playing and learning, she is my role model, then, I told myself, I can not give Deng Yaping scholarship shame, nor to the Chinese people shame.” Uphold this belief, Liu Hao Yu In a week after the adjustment of the state, and in the subsequent British college students, on behalf of the University of Nottingham even won the women’s team, mixed doubles, women’s singles champion, women’s second runner-up and two Grand Prix championship. In terms of learning, Liu Hao Yu also experienced such a process. During his tenure at the University of Nottingham Ningbo, David Greenna, headmaster of Nottingham, said that Deng Yaping mentioned Liu Haoyu’s good academic performance and was the only student in the class. “When I came to Nottingham to study, I was very instructive about the way of teaching and learning in English, but after many countless nights to see papers, analyze and understand English thinking, this was very satisfied with the results.